As the Arctic continues to melt, concern over who can claim sovereignty over it continues to rise. In order to understand what exactly lies at stake, one must first understand the basics of sovereignty and its place in international politics. Sovereignty is “the idea that there is a final and absolute political authority,” meaning that a state has absolute political authority over its own territory. This idea of an “absolute” definition of sovereignty is slowly waning, however, and is instead being replaced by the idea of certain Because sovereignty itself lies “at the heart of the modern international state system,” the evolution of sovereignty has shaped itself around this system.There has thus been a figurative split of sovereignty into two main parts: actions that allow external powers (such as the United Nations) to limit a state’s sovereignty, and the broadening of the idea of a state’s jurisdiction over its own territory as a whole. A large contributing factor to the shift away from the definition of “absolute” sovereignty with regards to the Artic has been the ongoing struggle of defining maritime borders. The rush to claim the Arctic began over 100 years ago in 1907 when a Canadian senator claimed sovereignty over Arctic territory stretching from islands north of Canada to the North Pole. Although, the claim was eventually dismissed by the Canadian Senate. Then, in 1909, an American explorer left a note in attempt to claim the entire Arctic region for the United States. The American claim going unrecognized, in 1916, Norway began its attempt to lay claim by establishing coal mining operations as a way to prove its activity in the region. And yet, in 1925 and 1926, Canada again claimed sovereignty over two specific Arctic regions. Then, in 1945, the United States claimed jurisdiction over North America’s continental shelf. As can be seen, while many states made claims on the Arctic, little was solidified or internationally respected. Such activities culminated in 1958 at a United Nations’ conference that approved the Convention on the Continental Shelf. All countries with territory in the Arctic, except for Iceland, were party to the Convention. The Convention stipulated the boundaries of the potentially claimable areas around each country’s continental shelf. It was not until 1982, however, that the United Nations’ Convention on the Law of the Sea (UNCLOS) was negotiated by the United Nations. UNCLOS stipulated that each Arctic nation had a 200 nautical-mile exclusive economic zone. These zones could be expanded provided that the Arctic nation proves that their continental shelf extends beyond that area. Yet, not all states were satisfied with UNCLOS. The United States is one of the nations that did not ratify UNCLOS, in fact, which is a complicating factor in the UN’s attempt to reach an agreement among all Arctic nations. What makes Arctic sovereignty claims so crucial? Oil is the crucial factor underlying the strife to claim sovereignty over the Arctic. Russia was the first Arctic state to attempt to reach some of this oil; it drilled on a part of its Arctic territory estimated to contain nearly 610 million barrels of oil. In 2008, American scientists estimated that there could be as much as ninety million barrels of oil yet to be discovered. This is in addition to the 240 billion barrels of reserves that already exist in the Arctic. Naturally, the amount of oil ready to be potentially claimed has caused rising tensions between Arctic nations. In 2013, President Barack Obama called for the advancement of “American security interests to facilitate commerce, strengthening [of] environmental stewardship, and deepening international cooperation,” which he emphasized could be achieved by signing onto the UNCLOS treaty. UNCLOS not only outlines the rights of Arctic states, but also introduces a new definition of Arctic sovereignty. It lists the “overlapping rights, responsibilities, and political authority” of each Arctic state. As per UNCLOS, each nation has a twelve nautical mile “baseline” within which it can exercise its own authority. An additional twelve nautical mile “contiguous zone” defines the area where a state can still “set laws, regulate use, and exploit resources”. Beyond that, rights begin to overlap. Where continental shelves stretch beyond the predetermined limitations, Arctic states have the option of attempting to lay claims to the point where the shelves attached to their respective territories’ end. This overlap attempts to strike a balance between the needs and interests of each nation involved. This means that several states may have overlapping authority due to their respective claims of sovereignty over the territory in question. In 2001, Russia became the first state to request an extension to their territory, claiming just over 460,000 extra square miles. This is just one of many territorial disputes that have arisen. Canada and Greenland have overlapping territory, as do Russia and Norway. Each year, the ice in the Arctic gets thinner and tensions grow higher. As climate change continues to affect the pace of the Arctic’s melting, issues relating to newly revealed territory continue to arise. Admiralty law surrounding ocean navigation, for example, is a pressing issue, especially as it relates to marine pollution and attempts to reduce it. 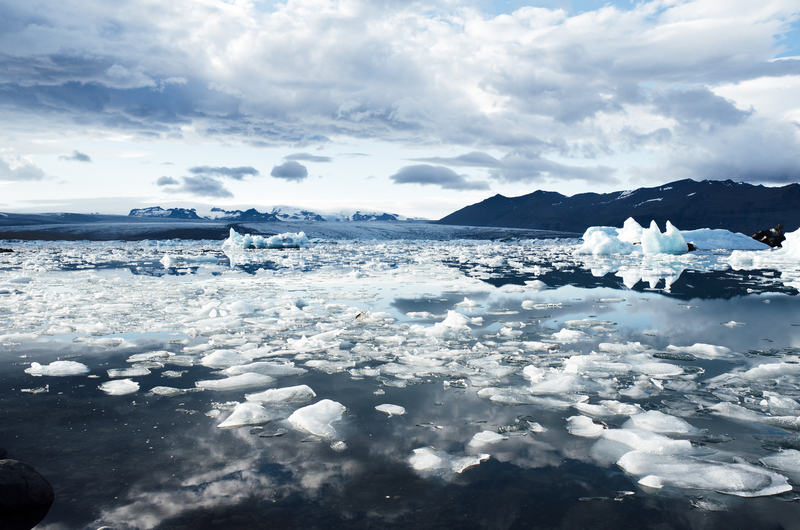 Another example is UNCLOS’s Article 234 which covers the “Arctic exception,” allowing states to regulate marine pollution as the Arctic becomes increasingly navigable. UNCLOS also states that certain waters can become “international straits” through which other countries can be granted a right to passage. As the Arctic melts, it also reveals new land masses. This, naturally, has led to conflicting claims over these masses. Canada and Denmark, for example, have been embroiled in a battle over the small Hans Island for quite some time. Despite the size of the island, the determination of its ownership will be incredibly telling as it will set a diplomatic precedent for deciding such issues in the future. As the Arctic continues to emerge from its icy shell, tricky issues of international politics continue to arise as well. It is clear, after all, that the stakes surrounding territorial claims in the Arctic are high. Billions of barrels of oil are potentially available to be claimed, and with it the power to control a large portion of the oil industry. Only time will tell which claims will prevail. *Taneil George is a J.D. candidate at Cornell Law School where she is a Cornell International Law Journal Associate. She holds a Bachelor’s Degree from Queen’s University in Kingston, Ontario. Jon D. Carlson, Scramble for the Arctic: Layered Sovereignty, UNCLOS, and Competing Maritime Territorial Claims, 33 SAIS Review INT’L Affairs 21–43 (2013). Ty McCormick, Arctic Sovereignty, Foreign Policy, May 7, 2014, at 20, 21. Carlson, supra note 1, at 21–43. Richard D. Parker & Zagros Madjd-Sadjadi, Emerging Legal Concerns in the Arctic: Sovereignty, Navigation and Land Claim Disputes, 46 Polar Record 336–48 (2010).